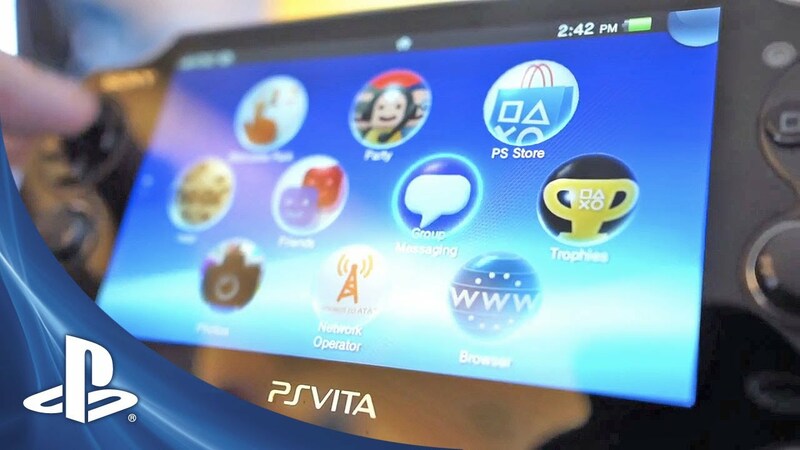 As most of you know we are releasing a pretty hefty System Software Update (v1.80) for PlayStation Vita (PS Vita), which will enhance your experience and also allow you to play PSone Classics on your device. Before the update becomes available, I wanted to take the opportunity to walk you through some of the highlighted changes and give you a sneak preview of what you can expect. For those of you who have already purchased these titles, you will be able to re-download those games directly from your PS Store account or transfer them to your PS Vita directly from your PS3 at no extra charge. I hope you enjoyed the video; for any additional information on PS Vita System Software Update v1.80, please visit this page when the update goes live. As always, we appreciate and look forward to your feedback and questions below. I can’t wait for this update!!! Kinda disappointed with the PS1 support though, I bought The Legend of Dragoon when it launched on PSN specifically for the Vita yet I can’t even play it?!! Keep the firmware updates coming! Are those really the only PS1 games that will be available to download on day 1? What about that talk about 100 classics being playable at the beginning? What about flash/html support for the web browser? So, this plus the games MonkeyPaw confirmed? We need a total list please. Please, oh please make them all compatible eventually. Alright things starting to pick up! Next big thing I want is Remote Play were I can play at least all PS2 games and then some PS3 games. Can we please get folders? Most operating systems have folders. Folders for games, apps, videos. Folders. I don’t like having a long list of videos in some random order. I’d like to have them organized by genre or show or whatever. Same applies to games and applications. Did you guys lie to Monkey Paw? They said Tomba would be playable, and to take 6 months to only add 9 games for compatibility is insanely weak. yes!! PSOne support finally!!! just give me all of my old square games and then we’re talking! been waiting to start Chrono Cross and taking the train to work again! this is great I hope to see more updates (monthly) with new features! the next thing that needs an update is the Browser, it needs a complete Overhal with HTML5 since we cannot have flash or just get firefox to make a full HTML5 browser. 9 WTF this can’t be right. Where are the games that MonkeyPaw Games confirmed today? also, why hold back on the titles too? holding out on your catalog only does one thing: prevents an impulse sale. if i see an old PSOne game i like or used to like on the PSN, i’ll buy it. trickling out titles is a VERY STUPID business practice, if its there we’ll buy it! I hope we can access more PS1 games by transferring from the PS3. If not, these weekly updates better be like 5 games every week. And if you don’t get out the most wanted games out first, you’re going to have a lot of angry people. A lot of people were already under the assumption that a 100+ games were supposed to be supported in this update. Sony also really stretched the meaning of “soon” with this update back at launch. it would be awesome if the vita could play the videos posted here. Glad that the system is getting an update. Still, it is a little disappointing that the 100 PSOne classics are not being made available tomorrow as once thought before. Hard at work? The update is way late and that is all you have done at launch? Do the same rules apply for being able to pull PSOne titles as it was with PSP? Like I can grab FFVIII if I transfer from my PS3? 9. 9 PS1 Classics. That’s actually kind of embarrassing. Is this a JOKE? Please tell me we can at least transfer the ‘incompatible’ games from PS3 like you can with PSP games. Otherwise I am furious. We wait six months and you refuse to say anything the entire time except “soon” and then “Summer”, and now we get…NINE GAMES? For the browser, can we PLEASE get the option to “right click” to get the menu like on a PC? Or am I missing something? $5 says we can just manually copy them from a PS3 to the Vita. Dang so I cant play my Xenogears or Breath of Fire yet? That is rather disappointing. Hope I don’t have to wait long. Classics that aren’t on the store yet, I mean. Phase…? I guess I shouldn’t hold my breath for the R-Type games to become compatible since they’re not even in the store anymore. What about the group messaging? I have a million messages on there, because it seems to want to track every message I get via vita or Ps3 Read or not read. Is this getting a change as well? For a feature which was what made me buy the Vita, PS1 classics come a little late. And only 9? The worst part about backward compatibility is the use of the second stick on PSP games. I hope you can fix this, and make it like in PSP’s PSOne classic settings where you could map any button to anything. But the fact that FFVII is in the list should call me down while I wait for the gamebreaking bug in WipEout 2048 is solved. Oh, did I tell you how my PS3 crashes when I try to update WipEout HD Fury? Great video. I like it. Can control the PS3 and back pad to browse online. I’m looking forward to it. At first, not all PSP titles and Minis were officially supported on the Vita. Due to this fact, they were not on the Vita’s store. However, if we downloaded them to our PS3s and then transferred them over to the Vita, they worked. Will there be any PSOne titles NOT listed above in the blog post, that I will be able to download to my PS3 and then transfer over to my Vita? I don’t like the phased roll out idea. especially when some/most people will have some ps1 games they want to play. Uh….WHAT ON EARTH at that list. PSone support was mentioned over a year and a half ago, and since then you’ve only gotten NINE games working? If the browser in 1.8 is actually as smooth as it looks in the video (he was able to scroll down fast WITHOUT seeing the checkered background! ), then I will be happy. So what about the PSX games we’ve bought and have on our PS3’s, can we not just transfer them across using content manager?, or do we have to wait until Sony put them on the Vita store? PLEEEEEEEEEEEEEEEEEEEEEEEEEEEEEEEEASE ADD APE ESCAPE TO PSONE CLASSICS!!! YOU HAVE BAD GAMES LIKE GOLFING AND SPORTS ON PSONE CLASSICS! WHERE IS THE CRITACALLY ACCLAIMED APE ESCAPE!?!? 9 games? Are you serious? Not even MGS, Silent Hill or Resident Evil? I’m seriously pissed right now. I feel cheated. And before i even THINK of getting a vita, will these PSone games work on the vitas update right away or no? Also what time will this update be ready? I hope to take Syphon Filter with me on the go tomorrow morning. The PS1 support is unacceptable. NOT EVEN FINAL FANTASY, MGS, OR CRASH BANDICOOT?? Geez you people are never happy. Thanks! Finally. I hope the day 1 selection is very good and very comprehensive, and I hope the full PSone library comes in fat doses, and fast. EVERY week. Also, tell them we want Einhander, Brave Fencer Musashi, Breath of Fire III, Skullmonkeys, Heart of Darkness, Silhouette Mirage, Herc’s Adventure, Raystorm, Strider 2 and Project Overkill! More power to ya! Vita ’til the wheels fall off.